The glitz and the glamour returns tonight to the ballroom with the season 15 premiere of Dancing With The Stars All-Stars. From former champions to fan favorites, including a celebrity voted in by fans, the All-Star cast along with their professional partners return to the ballroom. All 13 couples will hit the stage performing either the Cha Cha or the Foxtrot to impress the judges and viewers at home, hoping they’re not the first couple sent home. CHA-CHA-CHA: Pamela Anderson & Tristan MacManus; Sabrina Bryan & Louis van Amstel; Apolo Anton Ohno & Karina Smirnoff; Bristol Palin & Mark Ballas; Emmitt Smith & Cheryl Burke; Kelly Monaco & Val Chmerkovskiy; Joey Fatone & Kym Johnson. So be sure to tune in for our live coverage of ABC’s Dancing With The Stars All-Stars – tonight at 8PM EST! While you wait for our recap, hit the comments and let us know how excited you are about the new season of Dancing With The Stars All-Stars. 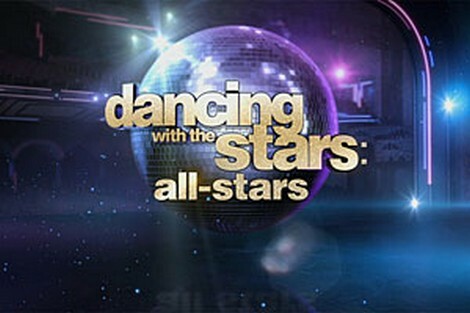 DANCING WITH THE STARS ALL-STARS 2012 SEASON 15 LIVE RECAP HERE!